This course explores the literature of Hong Kong from the late 19th century up to the present. 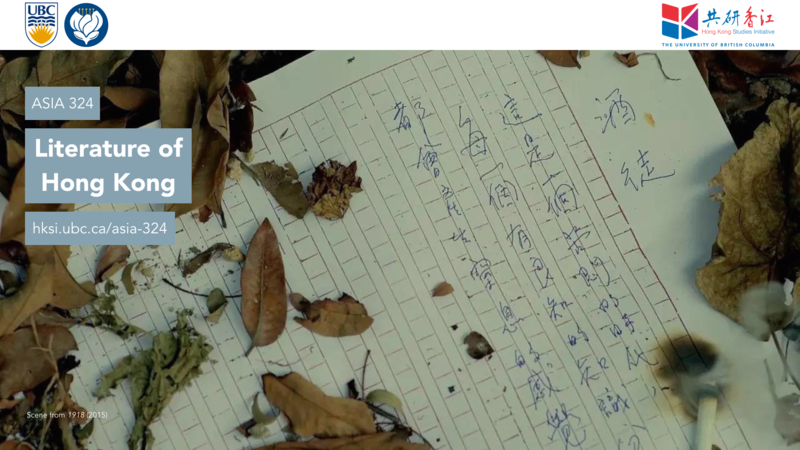 Its goals are to introduce to students the transformation and basic features of Hong Kong literature, the works of important writers, and to further their skills in literary appreciation and analysis. This course encourages students to critically consider how meaning is constructed in local, national and international contexts. The UBC Hong Kong Studies Initiative is pleased to have presented “City Inscribed,” a series of public lectures and events in celebration of the launch of “Literature of Hong Kong” (ASIA 324) in 2017W. Please note that, due to unforeseen circumstances, ASIA 324 will not be offered in 2018W. It is our expectation that it will be offered again in 2019W. What is Hong Kong Literature? 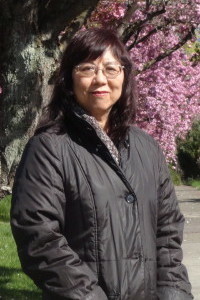 Dr. Laifong Leung is Visiting Professor of the Department of Asian Studies at the University of British Columbia, Vancouver, and Professor Emerita of the Department of East Asian Studies, University of Alberta, Edmonton. She received her BA from the University of Calgary, and MA and Ph.D from the University of British Columbia. Her books include Liu Yong ji qici zhi yanjiu [A Study of Liu Yong and His Lyrics] 柳永及其词之研究 (1985), Morning Sun: Interviews with Chinese Writers of the Lost Generation (1994), Contemporary Chinese Fiction Writers: Biography, Bibliography and Critical Assessment (2016), Zhongwai wenxue jiaoliushi: Zhongguo-Jianada juan [Literary Interactions between China and Foreign Countries: China–Canada Volume] 中外文学交流史：中国–加拿大卷 (2016), and Early Spring in February 早春二月: A Study Guide to the Film (2004).